Today I have a guest post from the lovely lady who writes the blog: http://athomewithasmaa.blogspot.co.uk/ In her post today she is sharing with us a lovely recipe. Shukran / Thank you Karima for inviting me to guest post on your blog today. 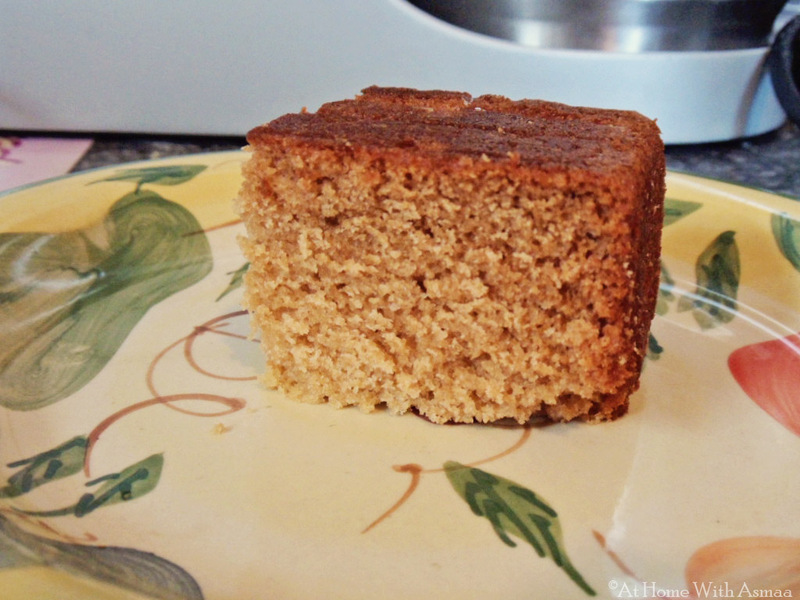 This simple cake brings back lots of memories of childhood and is a real taste of home for me. I grew up living in my grandparents’ house for the majority of my childhood, we lived very close to woods and were surrounded by fields where my sister, friends and I would venture and play. Early mornings and getting ready for school is something most teenagers don’t look forward, I was no different especially in winter. Things that made routine run more smoothly for me each school morning were waking up to the cosy warmth of a coal fire, a cup of tea accompanied by toast laden with butter and golden syrup, yum! Golden syrup is a cupboard staple in my house to this day, I use it to sweeten porridge, over pancakes, in biscuits and now I have it inside a cake alhamduillah. The syrup not only adds sweetness but also adds moisture which is essential when baking egg free cakes. Right after baking the cake will have a crunchy caramel exterior but if it manages to stay in the cake tin let’s say overnight up to 24 hours the syrup will have penetrated the surface making it just slightly sticky to touch. It is the simplest cake I have made to date, using the all in one bowl and wooden spoon / handheld electric mixer method or in my case the stand mixer let’s me keep my hands free, does the graft while I reap the sweet reward! No fancy additions such as icing, decoration etc the cake stands alone and is more than capable to hold its own up against a fancier, labour intensive rival. 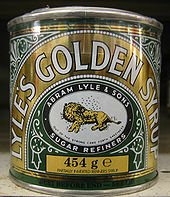 I understand not everyone will be able to get hold of golden syrup so here http://neckredrecipes.blogspot.co.uk/2009/12/homemade-golden-syrup.htmlyou can always make your own and believe me it is 90% the real deal I have tried it before but like all sugary things there is probably some secret recipe or method to how the real stuff is made. Line bottom of square tin or your two loaf tins with a baking parchment liner or greaseproof baking paper. In a large bowl or the bowl of your stand mixer place all the ingredients and mix it all up well with an electric mixer. Slowly to start with because its a fairly liquid and hot mixture and prone to splashing. 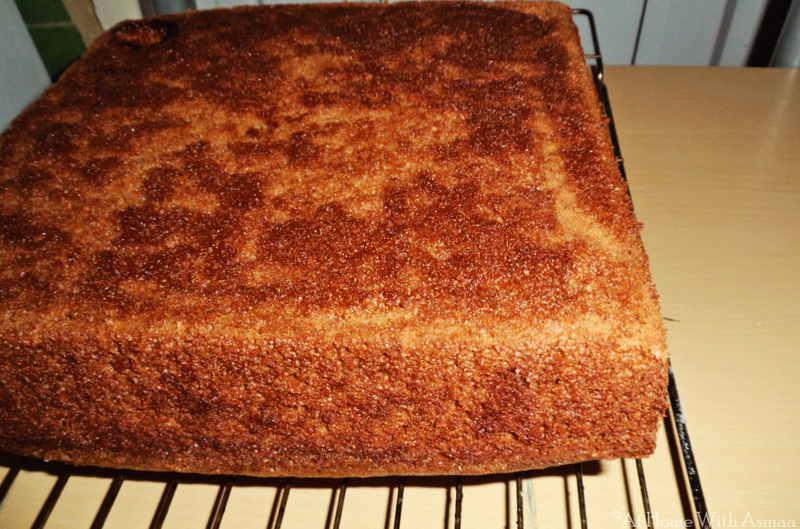 Once baked allow to cool for 10 +minutes in the tin before removing and allow to cool completely on a wire rack. Don’t worry if your cake(s) are cracked on top that all adds to the rustic charm, plus if you’re doing the square cake you can always level the cake and flip it over so the flat bottom becomes the top and the sliced top that isn’t so pretty is now the bottom. Yes sounds so yummy! 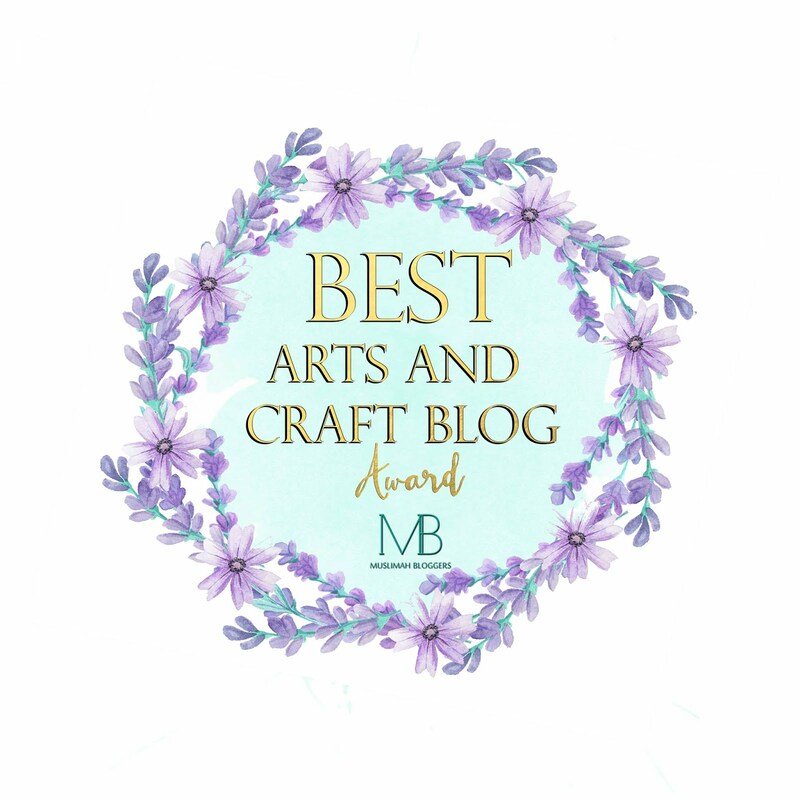 Sorry I haven't been past your blog lately - I have been so busy with kids holidays - I am going to try this week to pop by all the lovely blogs I usually visit inshallah. It does, doesn't it mmmmmm!